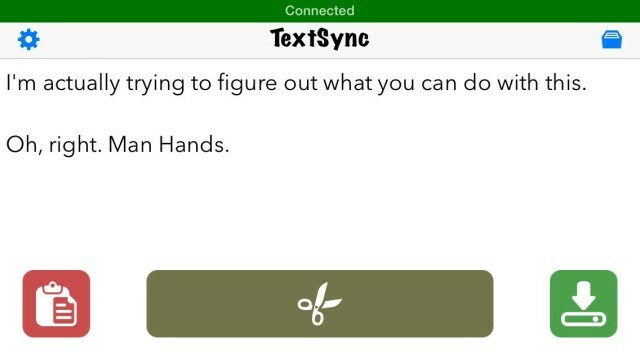 TextSync is kind of a confusing app, and it took me a while to figure out what the point was. It lets you link your computer and your iPhone or iPad over Wi-Fi so that whatever you type on the big screen appears on the smaller one. You can then copy that text to paste elsewhere or save it as a note. But what’s the point? Well, it’s a good workaround if you don’t want to spring for a Bluetooth keyboard, and it’s handy for these really long and tedious iMessages that I send all the time. They’re epic, people. Blue boxes for days.